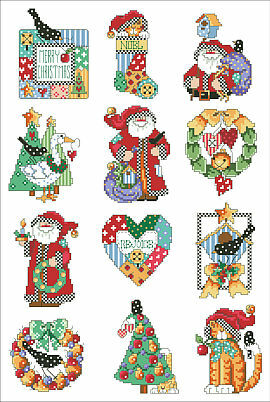 12 Country ornaments, each a tiny sampler in its own right, are gathered together into one charming collection. 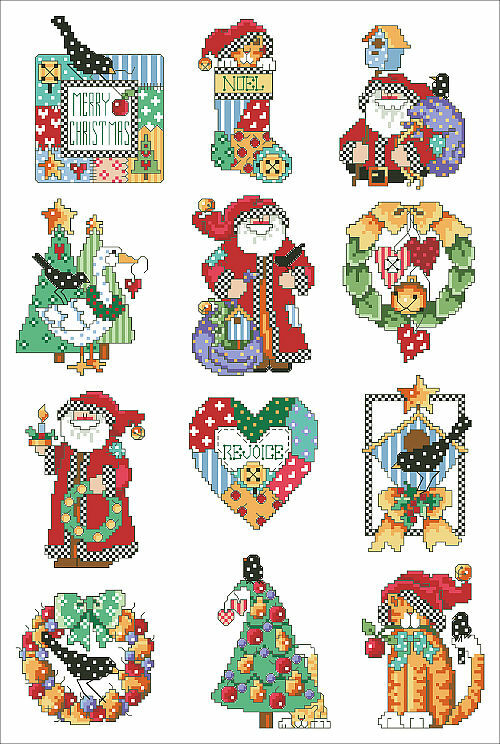 Santa feels right at home surrounded by blackbirds, checks and hearts galore. These delightful ornaments will enhance any country décor.